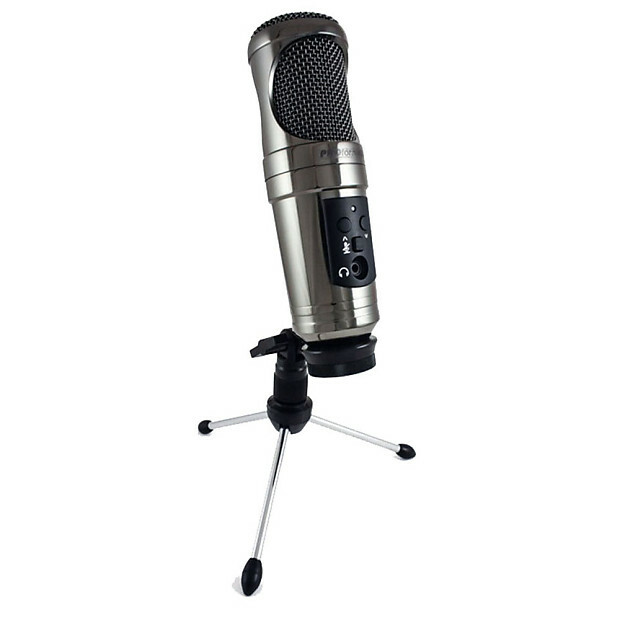 Here we have a new CAD PROformance P755 USB Collector's Edition studio condenser microphone.CAD PROformance delivers a high quality USB mic with true studio performance with this new P755 USB microphone. If you have any questions, give us a call or stop by our Ken Stanton Music Marietta, Woodstock, Stone Mountain or Alpharetta locations to check out and save on a new CAD PROformance P755 Collector's Edition P755 USB studio microphone today. We will ship within the continental US via UPS Ground or USPS. Note: New items with quantities of less than 5 may be open-box or display models. Please contact us with further questions regarding any specific product listed in our store. We accept returns unless otherwise specified on the ad. You have seven days from the date you received the item to send it back. This allows you enough time to check that your item is in the condition as stated in the listing and in proper working or playing condition. Should you decide to return an item, you must first inform us via email with a confirmed response from Ken Stanton Music containing a return authorization number before you ship your item back to us. The item needs to be returned in the exact same condition it was in prior to shipment. The buyer is responsible for all return shipping or you may return it to any of our store locations. If you do not notify us of your return beforehand, we reserve the right to refuse the package upon delivery to our warehouse and it will be sent back to you. Please note, we do not accept returns on software, consumable liquid, microphones, harmonicas, mouthpieces, reeds, headphones, or any product that comes in contact with the mouth or ears for sanitary reasons. Refunds will be granted upon receiving and inspecting the item to confirm it is returned in the exact same condition as it was shipped. If your item is damaged in transit, do not ship it back to us. Please notify us ASAP and save all of the packing materials and box(es) as we will need to first submit a claim with our shipping company. Once submitted and accepted, the shipping company will pick up the item from your shipping address and your refund will be granted upon confirmation of the shipping company having possession of the damaged item.